Well loved within the fashion industry for her talent and exuberant personality, Rozie Khan dived into the industry since the year 2000. Turning 40 years old this year, Rozie’s notable signature designs hold the corset look, off-shoulder, with silhouette hour-glass posture, and a mermaid cutting, her designs easily shows the elegance of a woman. Rozie’s main focus whenever she designs are the ones that cover the flaws and enhance the beauty of its wearer. “Most of my dresses are inspired by my own body posture. When I design, I would imagine myself wearing it”, the Dalat-born Rozie conceded. Apart from that, she also conducts research on body types when designing for someone to ensure a perfect fit. Having 19 years of experience in the fashion industry, Rozie can tailor a dress from scratch at an average of one week. “In one day, I work an average of seven hours. I would start at 5 in the morning, and would take breaks in between before continuing until 6 o’clock in the evening at most”, she said. However, she emphasised during the interview with New Sarawak Tribune that our eyesight during tailoring is important as working strenuously through long hours can hinder it. “It is important that our eyes rest well, otherwise we cannot concentrate on our work and would produce poorly,” Rozie elaborated. Her first ever corset dress, completed six months after her initial venture into the fashion world. The beautiful Rozie Khan in one of her design. A village girl from Dalat, Mukah, Sarawak, Rozie did not get the chance to further her studies into the fashion industry as she has nine siblings that her policeman father needed to support. “My younger siblings needed the money for their studies more than me. But I am not the type to force my parents as I understood their financial situation,” explained Rozie. Instead, the young lass back then did makeup, another passion of hers. “I like all things beautiful and it has always been my interest”, she answered when asked why did she decide to do makeup instead. To add on, her uncle sold makeup while her aunt was into pageantry. for her friends whenever they had dance performances. were involved with various types of arts. Latip of Latip’s Collection and he shared with me some tailoring basics”. As soon as she was done with her first design, she was very excited and happy. Six months into her first design, she sewed her first ever corset dress. “Back then, it was a trend among designers like Dato Rizalman,” she disclosed. 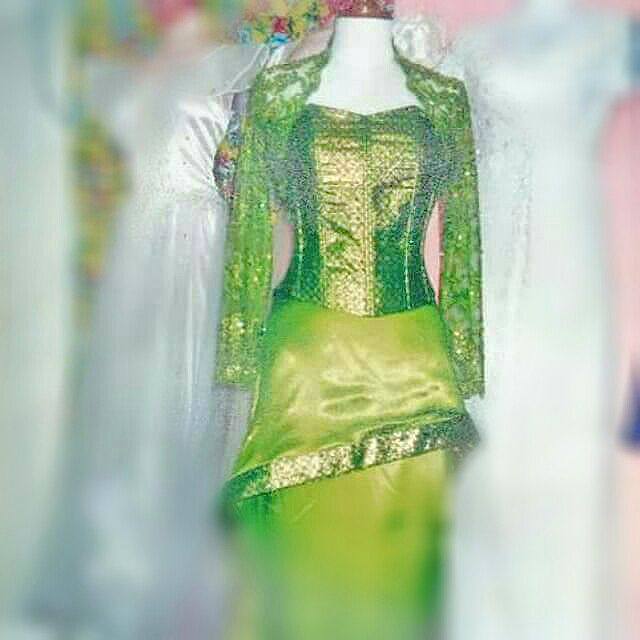 Among her designs donned by Sarawak pageant queens. To gain more experience, Rozie went to Kuala Lumpur in 2007 and had the opportunity to work with different local artistes like Maya Karin and others. Rozie’s achievements today includes winning several state-level fashion competitions, and the most recent one, Best Designer during the 2018 Borneo Fashion Week. She also advises to never give up on your passion. “Once you give up, you will never gain anything”. At the moment, Rozie is paving a new wave of fashion designs into the world of pageantry in Malaysia. 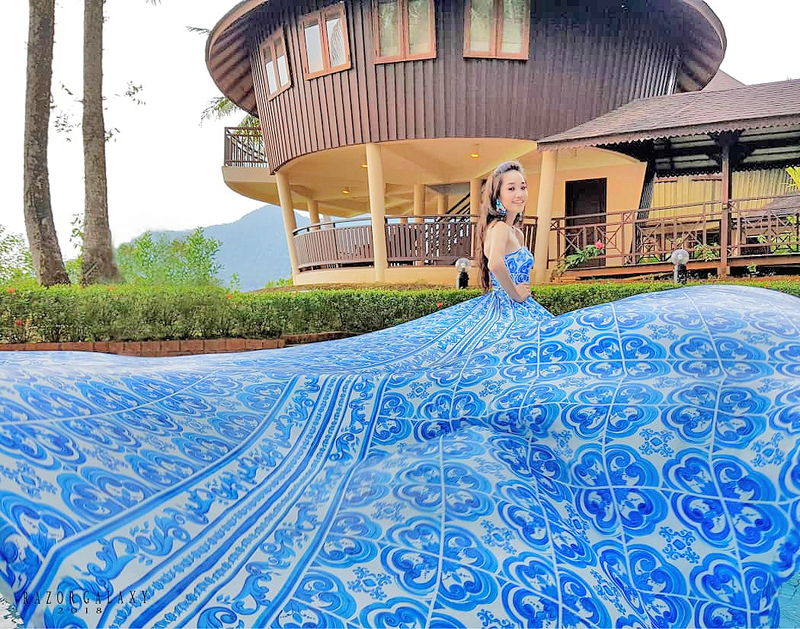 Introducing the use of ballgown dresses, and the usage of local fabrics — such as the songket, batik and Pua Kumbu — Rozie hopes that through this, the pageant industry can further introduce our Malaysian culture at the international level. To get in contact with the fashion designer, you can do so at 011-24325571. Those interested can also visit her social media accounts at Rozie Khan Couture on Facebook or @rozie1111 on Instagram. Rozie Khan: An eye for fashion 0 out of 5 based on 0 ratings. 0 user reviews.